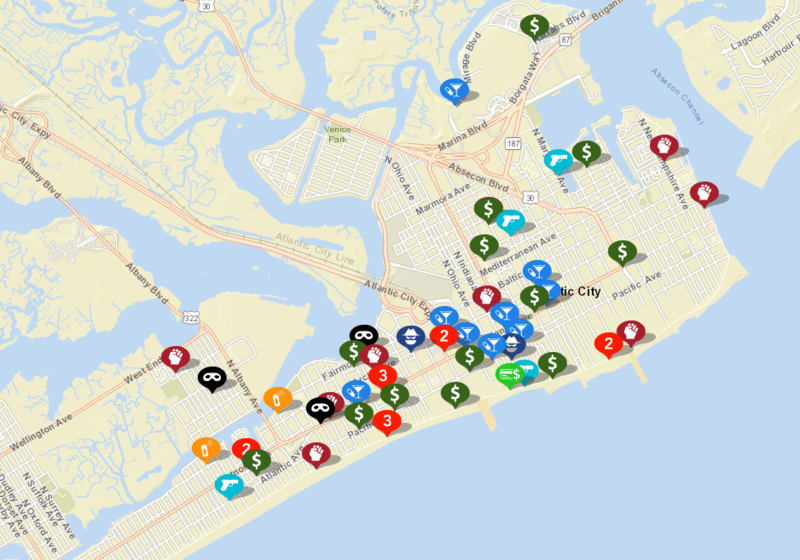 Finding out where crime is in Atlantic City could now be as easy as going online. 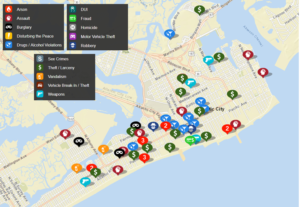 The city’s Police Department has joined CrimeMapping.com, which allows residents and visitors to see where crimes have happened. The site will get the information through the departments Records Management System every 24 hours, allowing users to see the crime’s date, time, location and incident number. An officer verifies all the data, Sgt. Kevin Fair explained. Information will be generalized by block to help protect victims’ privacy. “While we attempt to provide accurate and up-to-date information, the data shown is preliminary and may change during an investigation,” Fair said. Residents and visitors can register online to receive free email updates whenever new crime activity occurs in a specific area. Anyone can register for multiple alerts, so they can see activity near specific places like their home, business or children’s school. Not every call will show up on the map. Only those that have been reviewed and gong through an approval process, Fair said. Cases under review will be excluded from daily updates. “Our hope for this initiative is that residents throughout the city will join us in policing their neighborhood, that employees will assist us in keeping the area around their place of work safer and that visitors will not buy into the perception of Atlantic City that isn’t a reality,” Fair said. Anyone that witnesses a crime or has information related to one is urged to contact the police department immediately. Police urge those with an emergency to still call 911. For non-emergency tips, call 609-347-5780. Tips may also be texted anonymously to tip411 (847411), beginning the text with ACPD.